Lake Louise is one of the most beautiful hiking destinations in Canada. It has famously blue, striking mountain lakes, stunning peaks, and abundant wildlife. We decided to harness all of those things to make the perfect day in a perfect setting. This itinerary is a celebration of luxury and the gifts of Mother Nature. I hope you brought a camera.  You’ll need to wake up early to beat the crowds to at the Mount Fairview Dining Room, which opens at 7 a.m.and is located at the Deer Lodge. 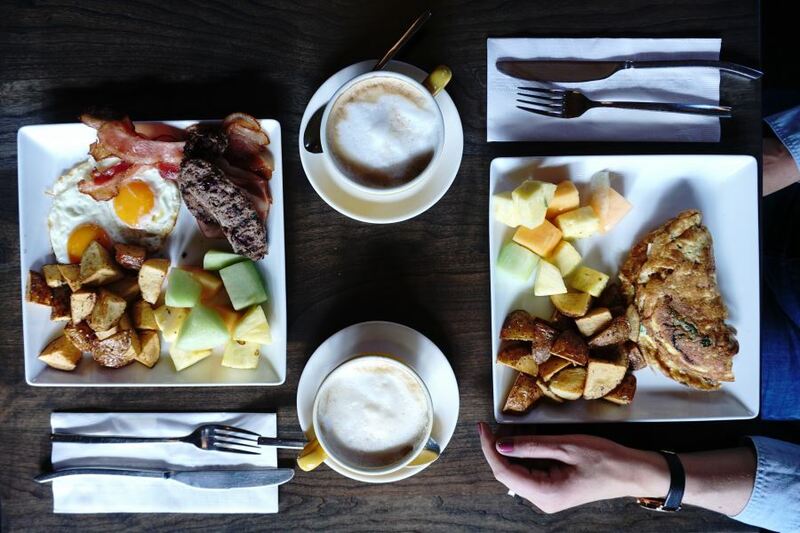 A rustic log cabin atmosphere is the best way to start your day, but don’t drink too much coffee or tea (you’ll understand why in a minute).Take the time to fuel and indulge in a full breakfast before taking on the Rocky Mountains. The elk and cranberry sausage is made from the elk raised on CRMR’s own game ranch. 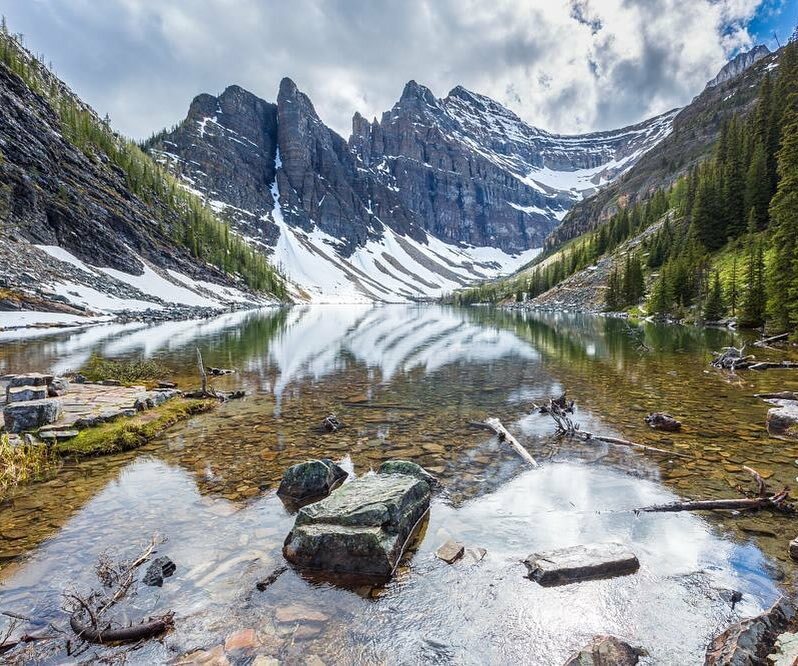 From breakfast you’ll hike to the Lake Agnes Tea House. It’s a great hike. You can stop at the end for snacks and drinks if you want. The hike does a great job of showcasing the typical landscape of the area. Just be mindful that the Tea House is closed from mid-October to mid-June each year. You’ll go to Bill Peyto’s Café for lunch after your hike. Now, you might have to wait in line, but trust us when we say it’s worth it. They have amazing burgers. 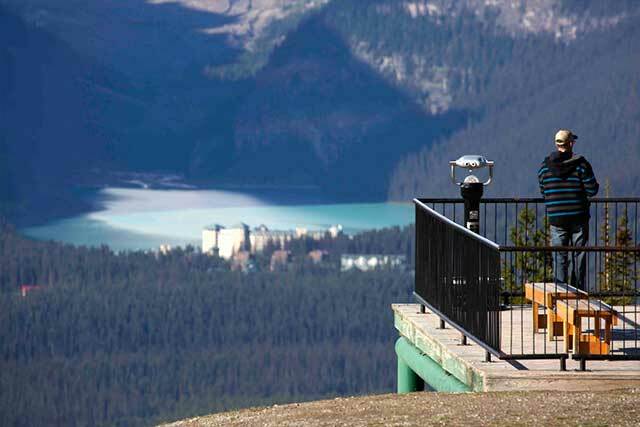 This place is a favourite place for anyone who frequents Lake Louise. Your next adventure will take you to new heights. You’ll be going on the Lake Louise Gondola! This is always such a thrill. You’ll have good chances to see some bears and other wildlife on your trip up. Try and get to dinner early. You’ll be going to the restaurant at the Post Hotel. This is a true fine dining experience. When you add a meal like this onto the day you’re having, how can it not be a perfect day? 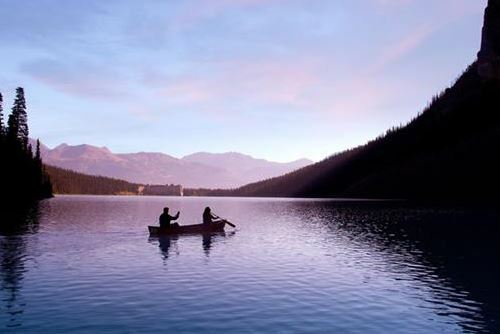 Just when you thought the day couldn’t get any better we have one more item left on the itinerary: an evening canoe on Lake Louise. You’ll book it through the Fairmont Chateau because the late night canoe is available only to guests. The departure time is 8 p.m. Grab a blanket and experience the beauty of the lake without all the crowds. It’s a busy day, but it’s a beautiful day. If you have a special someone to share it with this day will create memories that’ll last a lifetime. It truly is perfect. As you sit in your Canoe, all the things you accomplished will baffle you. Find how to plan your perfect day in these 10 stunning mountain locations! If you want to find 10 best hikes in Lake Louise, please click here!